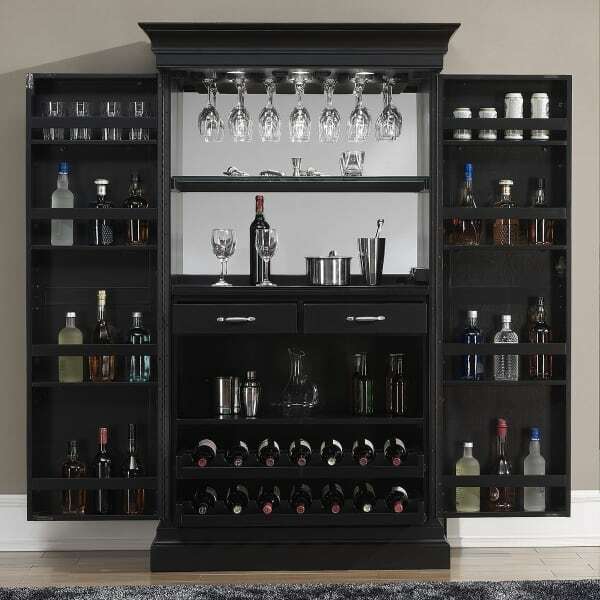 Become a hostess with the mostess or keep your fine wines and spirits for yourself with the Angelina Black Wine & Bar Cabinet crafted by American Heritage. 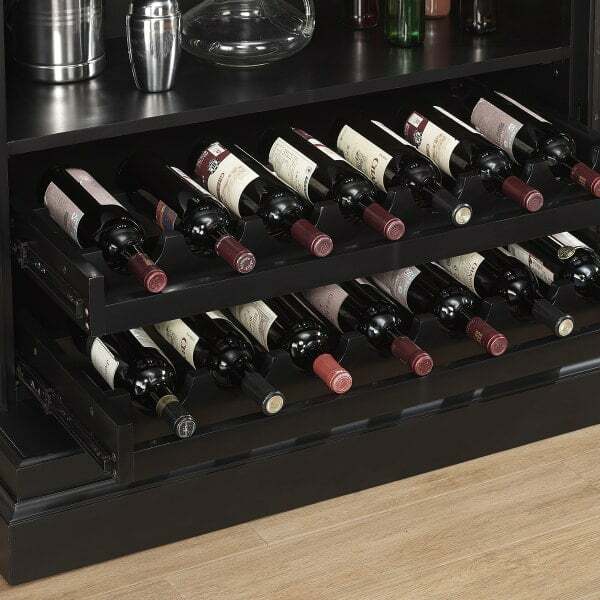 This wine cabinet will give you functionality, storage and is a striking living room bar piece. 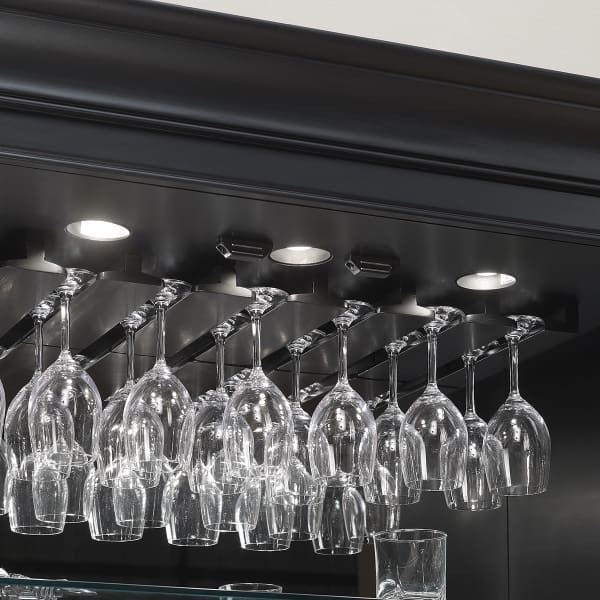 The bar is finished in jet black and has antique-style brushed steel accent hardware. 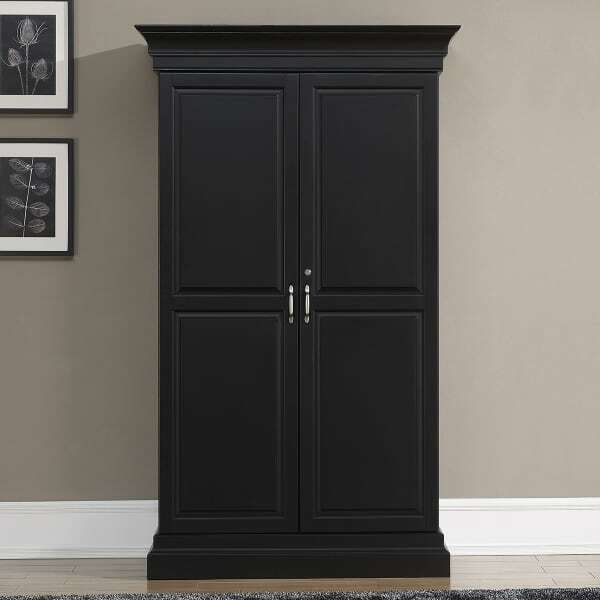 The double door cabinet rests on strong piano hinges that open and close smoothly to show upper stemware holders, a central black glass working area, and pullout wine racks. You can show off your stemware and give yourself ambient workspace lighting with the upper lights controlled by a touch switch. You’ll have ample space to call on your inner mixologist with the central black glass working area that comes complete with an electrical outlet perfect for powered mixers and blenders. Bring your best party ammunition to the forefront with the pullout storage wine racks that round out the bottom of the bar design. When resting, this piece is classical in design. When opened, it is modern, fully equipped to “wow” guests and make your in-home drink service on par with the professionals’.